Will Annie find acceptance in the Amish community she left behind? Annie Weaver always planned to return home, but the 20-year old RN has lived in Philadelphia for three years now. As her time of Rumschpringe is about to come to an abrupt end, bringing for Annie an overwhelming sense of loneliness. She returns home and finds herself face-to-face with a budding romance with an Amish farmer and Annie has several important choices to make. A Simple Amish Christmas is a wonderful story to be enjoyed, not only during the holiday season, but any time of the year! Set in an Amish community of Mifflin County, Pennsylvania, this story is full of vivid descriptions and enjoyable characters. I encourage you to open the pages and step into this delightful tale and visit this special community! Three years ago, Annie Weaver left her Amish community to live with aunt in Philadelphia. During this time, she acquired an education and career among the Englisch. 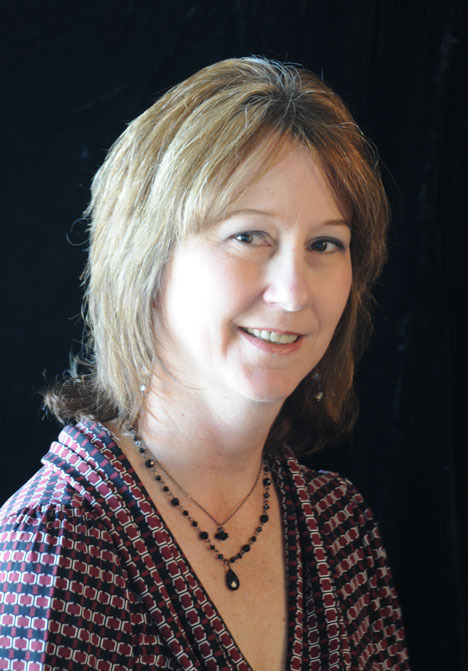 Annie enjoys her work at the hospital as a registered nurse. However, thoughts of home wash over her from time to time and leave her longing for home. A sudden phone call changes everything and Annie rushes to return to her Amish community. Samuel Yoder is a local farmer who helps with the medical needs of the community. When he makes a house call to check on Jacob Weaver, he is surprised to find Annie caring for her father. Skeptical at first of Annie’s ability to nurse her father back to health, Samuel soon learns there is more to this young woman than he realized. There is also more to Samuel Yoder than meets the eye, as Annie slowly discovers. A Simple Amish Christmas is a well-written story of love, acceptance, and realizing God’s will in all things. I highly recommend this book! Click to enjoy an excerpt from A Simple Amish Christmas. Vannetta has graciously answered a few questions for us. Please read her interview below. 1. What inspired you to write Amish fiction? I was actually working on a narrative historical about my grandfather’s life, and my agent asked me to stop what I was doing and write an Amish story. At the same time, I came across a bundle of correspondence which was all in German. I already knew that his birthplace was Albion, PA. He was born in the 1880s, and my father has already passed, so I need to get those letters translated in order to delve deeper. Those two things combined to convince me Amish was a good fit for me, and A Simple Amish Christmas was the story I wrote for my agent. 2. 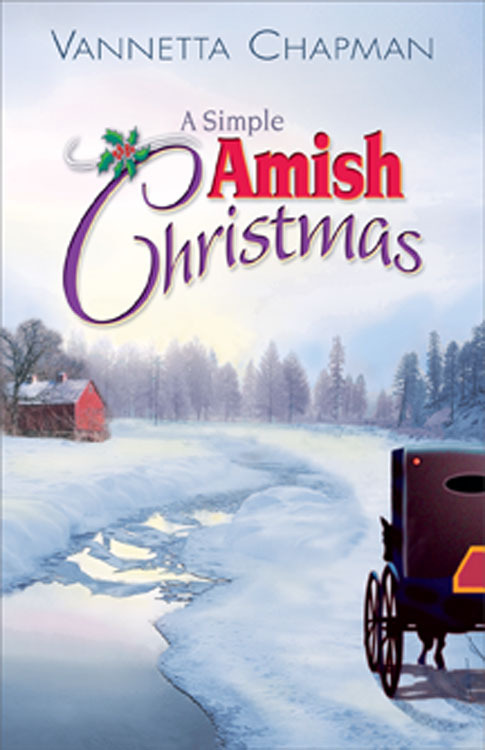 A Simple Amish Christmas is full of vivid descriptions of an Amish community, including dialogue, rules, and traditions. How did you research these various aspects of Amish life? I read a lot, both fiction and nonfiction (including news, blogs, and books). I think when we read nonfiction, we are able to get the rhythm of a group’s dialogue and also a feel for their true lifestyle. And of course I have been to visit quite a few Amish communities. 3. As I learned in this story, the Amish celebrate Christmas differently than the Englisch. What special traditions or celebrations do you and your family enjoy during the holiday season? Our traditions are fairly simple — Christmas eve with my in-laws, attending the midnight Christmas eve service, Christmas day at home, playing games and going for a walk. We don’t do a lot of gift giving, but we try to give something special. In our family, one thing that has become important is flexibility. Our children are grown and have a lot of pressures in their lives, so we try to be flexible, go where ever they are, and just enjoy the time together. 4. Christmas stories are some of my very favorites to read. What are some of your favorite books? I do love Christmas stories. Remember The Gift of the Magi by O Henry? I used to teach that to my high school students. It’s a wonderful tale of love and sacrifice. I also like Scrooge, which reminds us of what is important in life. And then there are the more modern tales. Just reading the Christmas story from the four gospels is a special thing to do during this time of year. 1. Samuel, I’ve heard that you’re a doctor, an Amish doctor. Tell me about that. Nein, I am not a doctor. I’m a herbalist. I care for minor medical problems in my community, and I’m quick to refer folks to an Englisch doctor when they need one. Amish can be stubborn, and they sometimes avoid going for help when they need it. I never hesitate to send someone to the clinic or the hospital when it’s necessary. But often what they need is to be reminded of common sense things. That I’m gut at. I’ve always enjoyed helping animals and people become more healthy. 2. You’re recently married? Two years ago. Ahh . . . I wish you could meet Annie. She’s a delight with a smile as bright as the flowers in her garden and a heart as big as her famous apple pies. And now we’re expecting a boppli. If things go well, I’ll be there with our midwife when Annie’s time comes to birth our child. 3. You were married before? Ya, I was. My wife and doschder died in a winter storm, when they became lost. It’s a difficult thing to discuss and even now a piece of my heart hurts when I think of them. 4. That must have been difficult, but you’ve found a way to continue your life. You’re somber now, but you’re also quick to smile. Apparently you’ve found joy again. Could you tell us a little about that? I’m not an expert on dealing with grief. Each person finds their own path through that dark valley. You speak of joy, but it was years before I could smile again without feeling I was betraying the memory of my loved ones. I owe any progress I’ve made in that regard to Gotte, and I remain grateful for Annie’s presence in my life. 5. You’re also a farmer, correct? Ya. Most Amish men have some land where they grow a crop that they can sell to earn a little extra money. I’m no different. This year we had a gut crop of hay. The market prices were fair, and I was able to put back a little savings. Annie also has a big garden. We like to grow as much of our own food as possible. 6. Do you hunt? I do. Not for sport but for the pantry. The only game I hunt is what we eat, of course—dove, turkey, and deer. 7. Let’s talk about the area where you live—Mifflin, PA. How has it changed over the years? A little more crowded, and a little more modern. Most technological advances we avoid, but it affects even us. There was one Amish family I visited who had solar panels installed on their home. It provided energy for their stove and refrigerator. These are things our community has remained undecided about. Time will tell if it’s something we want to allow in our homes. 8. But you still use the horse and buggy? We do. Both are a cornerstone of our society. We do not wish to travel fast or far. The buggy slows us down. If you have to hitch up a buggy you think twice before you head into town. It’s a lot of work. 9. You have a lot of family in the area. Do you see them often? Every Sunday, whether we are attending church services at a member’s house or visiting for a meal. Annie’s family is quite large. She is the oldest—only her and Adam, her brother, are married. But the rest will marry in time, and the family will continue to grow. Once married, the children will begin to come. It’s the Amish way to have large families, as you probably know. 10. What is one thing you wish people knew about Amish life? Things which seem odd to you all, seem natural to us. We make decisions based on our faith, what we feel Gotte would have us do, and also based on our families, what is best for those we love. Traditions are important to us, because they remind us of those who have gone before, those who have paved the way for us. Our desire to live simply is a direct result of our faith and trust in Gotte. Our needs are few, and He always provides. I received a complimentary copy of this book from Abingdon Press. All thoughts expressed are my own and no monetary compensation was received. Thank you for a great review, Britney. This sounds like a great book and I will definitely add it to my TBR list. This was the first book I read of Vannetta’s and it is absolutely one of my favorites! It was so nice to learn a bit about Vannetta and I loved hearing about Samuel as well. Writers are amazing to me. Thank you, Britney, for a most interesting interview. Great questions!